Going through a divorce is difficult for any couple. Beyond the raw emotional factors, there are many complex logistical matters that you and your partner will need to address. For example, you will need to divide your marital property in accordance with Florida’s equitable distribution standard. In some cases, this can be extremely challenging. Particularly for couples who own a home that still has a mortgage on it, untangling things can be challenging. 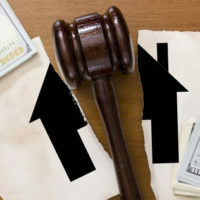 In this post, our top-rated Orlando divorce attorney explains when and how a divorcing couple can get one spouse’s name removed from the mortgage. A mortgage lender is under no obligation to remove either spouse’s name from the mortgage. Under the law, both partners are financially liable for the mortgage that they signed, even if they get divorced. A Florida family law court does not have the power to force a bank or mortgage lender to take a name off of a mortgage. Still, divorcing couples who want to get one partner’s name off of the mortgage do have options available. The partner who wishes to remain in the home can apply to have the home loan refinanced. If you can get the mortgage loan refinanced, then you can get one name taken off of the loan entirely. In certain cases, a Florida family law court can even order a party to seek refinancing. Of course, refinancing is not guaranteed. To obtain refinancing, you will need to find a lender that will approve the mortgage loan based entirely on the income of the spouse that wishes to take over the mortgage. Courts cannot force lender to approve refinancing. In some cases, a spouse may not have the credit score or financial capacity to get refinancing on their own. This can create a challenging situation. When it comes to dividing up real estate, collaborative solutions always work best. In some cases, the best option is to work towards an agreement whereby one spouse will be able to get refinancing and will take over the remaining mortgage. However, as this is not always possible, coming to an agreement to sell the home could be the best option available. If you are trying to divide up a house with a mortgage on it, you should work with an attorney who can protect your rights and help you find the best possible solution. At the Law Offices of Steve W. Marsee, P.A., our skilled Orlando family law attorney has extensive experience handling complex divorce cases. If you are getting divorced and you have questions about your home, your mortgage loan, or any other aspects of your finances, our team can help. Please do not hesitate to call us today at 407-521-7171 to schedule your fully confidential initial family law consultation.